Many research institutes overseas have shown interest in and made inquiries regarding our research. 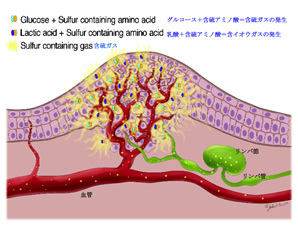 This paper discusses the mechanism behind cancer cell proliferation and metastasis. 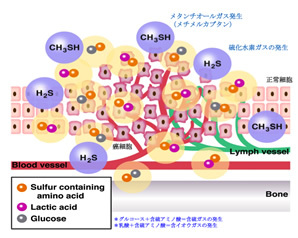 The significance of this work is that "In tumor tissues, sulfur-containing gases such as hydrogen sulfide and methanethiol (methyl mercaptan) are prevalent and are profoundly associated with cancer cell growth and metastasis" (Figure 1). 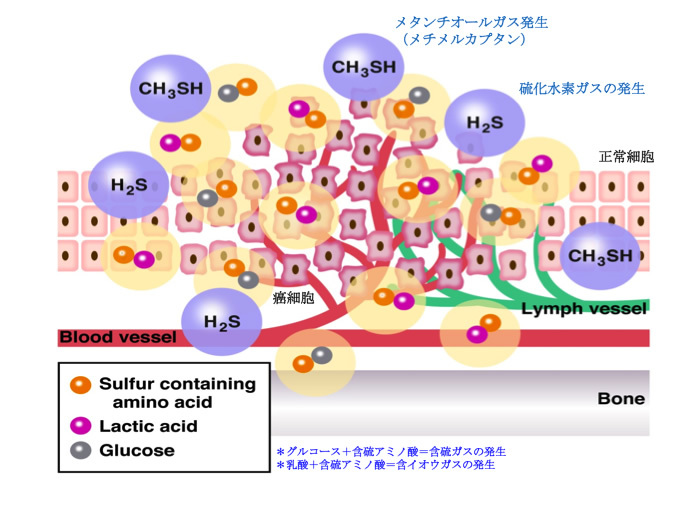 These sulfur-containing gases are regarded as "Guardians of the Genome", and are able to cause mutations in the tumor suppressor gene, p53. 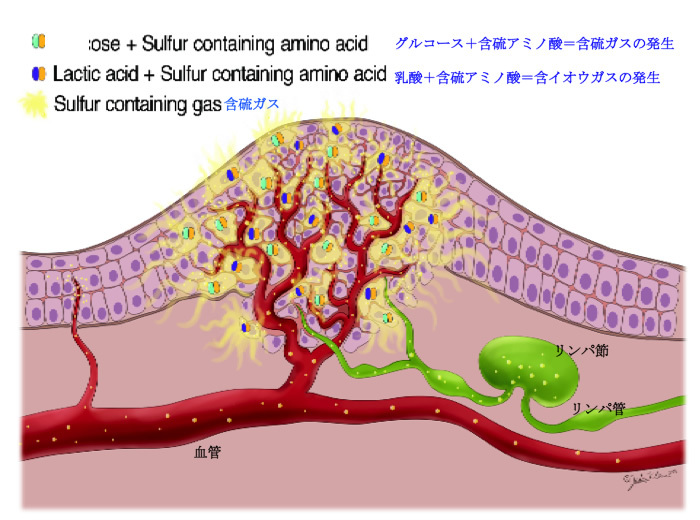 It is obvious that the current use of anti-cancer drugs in medical practice has not been designed with consideration of the impact of sulfur-containing gases in mind. Our research results will therefore assist in the design of future anti-cancer drugs. Copyright (C) 2011 itookashi. All Rights Reserved.